An article published on Sunday in the Globe and Mail, Canada’s largest national newspaper, argues that Canada needs millions more immigrants, and that the federal government should go even further in the changes it is making to the country’s immigration program and increase the number admitted into Canada each year. Between now and 2021, a million jobs are expected to go unfilled across Canada. Ottawa is making reforms to the immigration system but isn’t going far enough. We need to radically boost immigration numbers. With the right people, Canada can be an innovative world power. Without them, we’ll drain away our potential. It provides several cases where immigration helped local communities and enriched the Canadian economy. 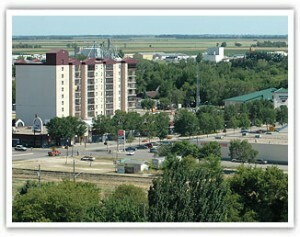 In the first example, it describes the experience of Steinbach, a small Manitoba town, which was seeing its population dwindle in the 1990s, until it borrowed a solution from another small town, Winkler Manitoba, and began admitting skilled worker immigrants under Canada’s first provincial nominee program, that a member of Winkler’s Chamber of Commerce, Adele Dyck, had helped trailblaze. Steinbach experienced a 60 percent increase in its population since the mid 90s thanks to immigration, and is now a bustling and growing multi-cultural community, with 900 immigrants being admitted last year alone. Friesen explains that the problem that Steinbach faced exists all across Canada, for example in the Alberta oil sands, Saskatchewan potash mines, secondary towns in Ontario, and in Atlantic Canada, with its aging population. The article argues that the aging Canadian population requires higher immigration numbers to maintain a sufficient tax base to support retirees’ pensions and health care services. Friesen writes that given the support among the Canadian population for immigration, an expansion of the immigration program would be politically possible, unlike in other countries which have greater public resistance to immigration. It’s not just funding pensioners’ retirements that provides an argument for higher immigration numbers, argues Friesen, but also realizing the ideal of Canada becoming a world power. He quotes University of Toronto public policy professor Irvin Studin as stating that Canada could reach a population of 100 million with enough immigration. The article argues that Canada could overcome the problems that arise with immigration, like difficulty for some immigrants to integrate, and culture clashes, and points out that “immigrants under Manitoba’s provincial-nominee program have education levels three times higher than the provincial average”, which bodes well for their likelihood of future success. High immigration levels have been typical in Canadian history, notes Friesen. He explains that from 1903 to 1913, annual immigration was over 2 percent of the Canadian population, and before the First World War, it reached 400,000 per year, over 5 percent of Canada’s population. In the 1960s, some racial restrictions on immigration were lifted, and immigration numbers continued to increase with Brian Mulroney’s Progressive Conservatives, and then later with the Liberals. The recommendation from late economist Alan Green, to peg immigration at 1% of the population, became a central part of the Liberal party’s platform, but immigration numbers never actually reached those proportions, and as a percentage of the population, have decreased since 1992. The article explains that several prominent organizations, including the Royal Bank, have urged the Canadian government to increase annual immigration to 340,000 and more, but that Immigration Minister Jason Kenney points to opinion polls showing that Canadians do not want higher immigration levels as reason to not boost them. If the composition of total immigration numbers changes to increase the percentage of economic immigrants from 60% to 75%, the economic success of the typical immigrant (who at the moment have significantly lower average incomes than natural born Canadians for the first few years after they immigrate to Canada), and with it the perception Canadians have of immigrants, could improve, argues Friesen, and this could make it more possible to increase immigration numbers from the current 250,000 to 400,000. A larger labour force is not the only benefit of more immigration described in the article. The Canadian economy could also see higher levels of innovation, due to the infusion of highly educated immigrants from diverse cultures. Supporting this theory is the fact, relayed by Jonah Lehrer, an American author specializing in the implications of neuroscience, that for each percentage increase in the number of immigrants with college degrees, the number of patents increases by 15 percent. Hi-tech industries benefit from immigration, Friesen writes. He describes the multi-ethnic workforce at Communitech Hub, a tech incubator co-organized by the University of Waterloo, and the start-up, Antvibes, founded by Iranian-born Vigen Nazarian. Vigen believes that “people of different backgrounds take different approaches to problem solving, and with unusually successful outcomes”. Friesen suggests that the best approach to immigration is to allow younger immigrants, meaning those in their mid-30s, encourage immigration to smaller towns, rather than larger population centres, and let individual communities participate in the selection process for immigrants. The article is the most comprehensive argument for higher immigration levels seen in national Canadian media in recent history. I m really surprised y canadian govt has nt issued me p.r. in canada. it s really a sad aspect of my life. I m post graduate in English Literature and post graduate in education and i have an experience of 20 years of teaching. What was wrong with my qualification and experience? I applied under skilled worker category in the year 2004 and i have got no reply from New Delhi Embassy from last 9 years. i have deposited almost fifty thousand rupees to the embassy. They must reply me atleast what decision they have taken regarding my file.